Total Stats for Trip: 12.2 miles, 3800′ gain and loss. A Wilderness Permit is required to hike in this area. Also a Campfire permit is required to use a stove. 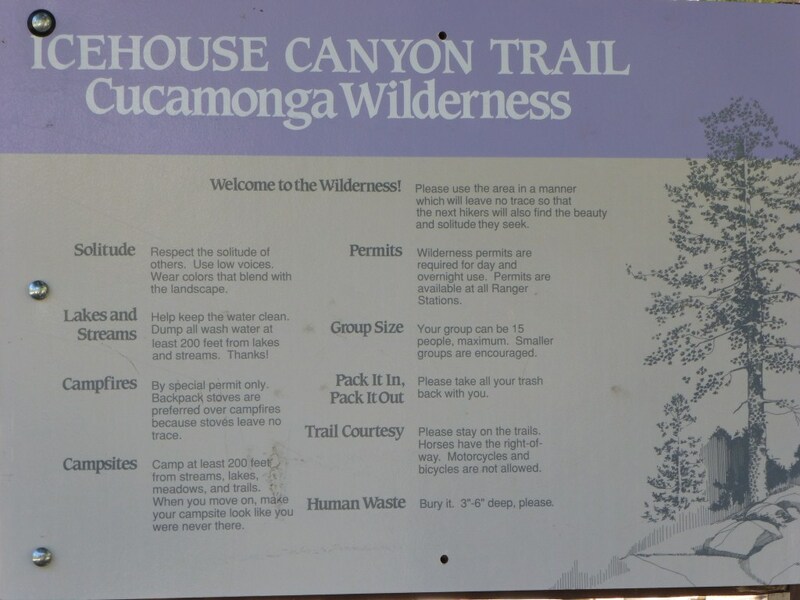 These requirements are posted on the Cucamonga Wilderness Sign along the middle portion of the Icehouse Canyon Trail. The permits can be acquired at the Mt. Baldy Visitors Center. 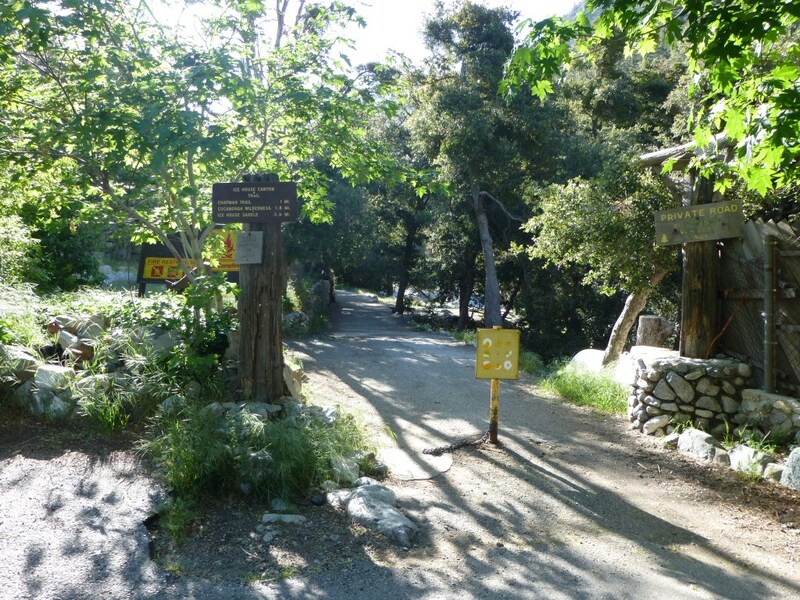 At the Lower JCT continue up the middle portion of the Icehouse Canyon Trail to the Upper JCT with the Chapman Trail. Day 2, go back the way you came or shorten by hiking down the Chapman Trail. 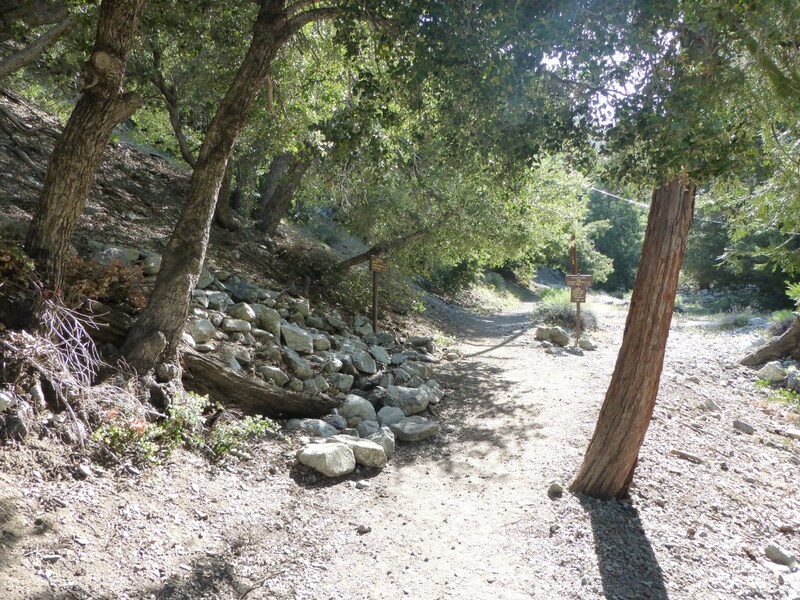 This hike starts along a stream that is follows most of the way up Icehouse Canyon. 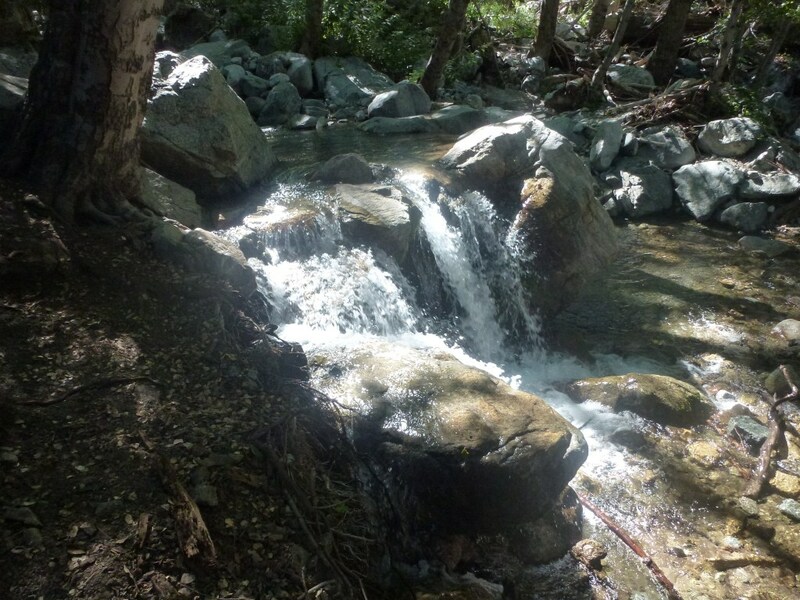 Along the Icehouse Canyon Trail are numerous small waterfalls (perhaps better described as micro-falls) and a few interesting areas where groundwater flows across the trail into the stream. Close to the two mile marker is an area with boulders displaying great patterns. Fairly close to the upper junction with the Chapman Trail is Columbine Spring which is the last place to get water (I filter the water I get from there) before reaching Icehouse Saddle. 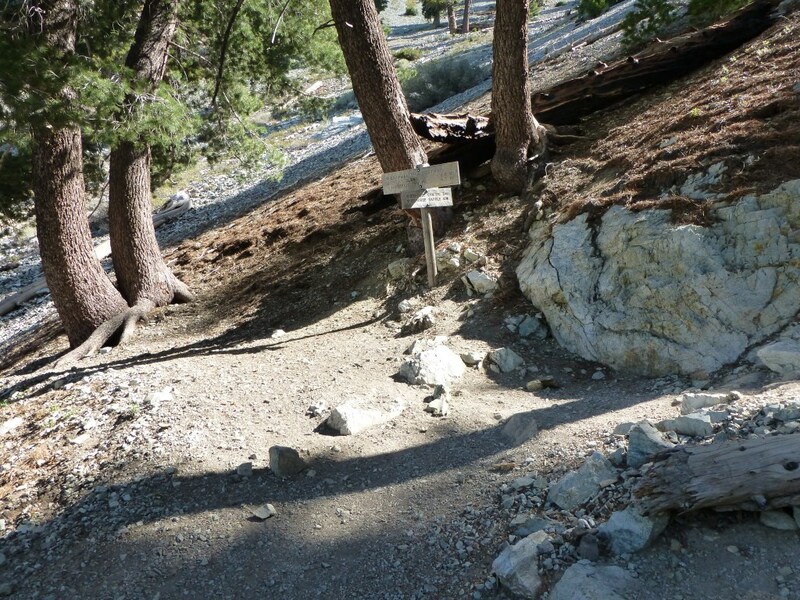 At Icehouse Saddle there are several options to continue hiking with clearly marked signs if you want to extend your hike. Going down the Chapman Trail provides nice views down the canyon and at places views out to the ocean. 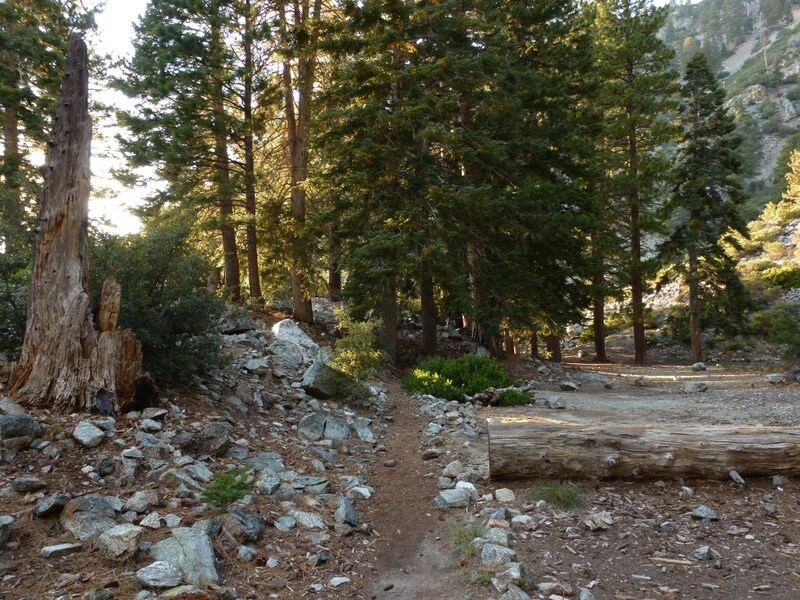 The Chapman trail leads to Cedar Glen Trail Camp and there is water crossing the trail just below Cedar Glen. Thank you so much for sharing with us. Happy Holiday!